A native of Binghamton, New York, Joel entered West Point in 1992 where he was a four-year varsity letterman and team captain of the 1995 Army Football Team. Graduating in 1996 with a BS degree in Pre-Law and a minor in Systems Engineering, Joel was commissioned into the United States Army as a Field Artillery Officer and stationed at Ft. Sill, Oklahoma. Upon receiving an honorable discharge from Army, Joel furthered his football career by spending time in the National Football League with the Cincinnati Bengals and the Indianapolis Colts. At the conclusion of his playing career, Joel returned to his native southern New York where he started his first company, a Non-Emergency Medical Transportation Company. With growing success, Joel expanded his entrepreneurial endeavors into a variety of other prosperous investments, endeavors, and strategic partnerships that continue to this day. As CEO of Maximus Management Group, Inc., Joel is likely the most sought after and recognizable figure in the paratransit and home care industries. Through his various resources, seminars, and exclusive coaching opportunities, Joel continues to be at the forefront in helping business owners in the paratransit, EMS, and home care industries to realize their financial and operational goals. Since 2004, Joel has helped an untold number of entrepreneurs purchase or sell an existing business, negotiate contracts in various complexity and value, restructure Medicaid and broker reimbursements and mediate disputes with vendors and contractors. 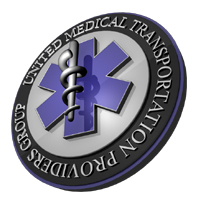 In response to the growing consolidation strategies sweeping the healthcare industry landscape, Joel founded the United Medical Transportation Providers Group (UMTPG) to serve as an advocate and consortium for various EMS and paratransit providers across the country. Since 2010, the UMTPG helped influence dramatic change in the Medicaid brokerage system and boasts annual increases in membership and opportunity. � Maximus Management Group, Inc. - All Rights Reserved.